We believe that organic living is much more than just a food choice; it’s truly a complete lifestyle decision that affects everything you buy. From the food you eat, to your skin care and clothing, choosing organic means opting for superior quality products that are better for you and your world. SoOrganic.com was launched in 2005 to help like minded people adopt an organic lifestyle to whatever level they choose, by providing the quality & range of products required to go totally organic in a quick, convenient & stylish online shopping environment. 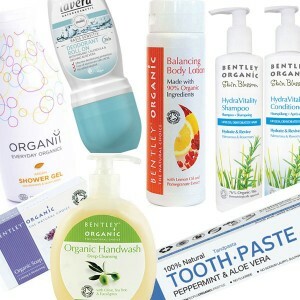 Our safe gentle products are free from the toxic ingredients often found in conventional toiletries. They contain No SLS or Sulphates, No Parabens, No Synthetic Fragrance, No Mineral Oil / Petroleum, No Propylene Glycol and they have not been tested on animals. Blended with the finest organic essential oils, our range offers safe affordable body care with none of the nasties. Anyone looking for affordable, effective products without SLS, parabens, petroleum oils or synthetic fragrance will love the products at So Organic. The formulations are highly effective, with the shampoo and conditioner consistently among our best sellers, and the lovely fragrances from blends of organic essential oils are loved by men and women alike.